Welcome to the Tiger Leaping Gorge website, home to the best trekking tours in China. Offering the perfect alternative to crowded city life, Tiger Leaping Gorge provides a great way of getting away from the hustle and bustle of everyday life. Western styled accommodation will be your base allowing you to marvel at some of the most breath-taking local scenery. Staying at our guesthouse provides a unique insight into local life at the Gorge. Sean Spring will be on hand to provide his experience as he sets about planning and organising your own personalised hiking and trekking tour. 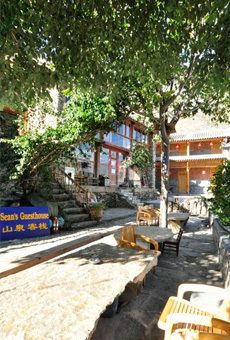 Guests will be made to feel welcome in the relaxed atmosphere that only Tiger Leaping Gorge can provide.